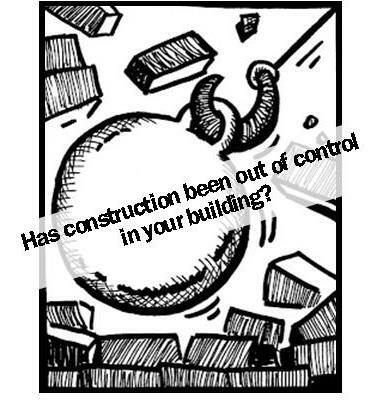 Home » Our Work » DOB Reform Campaign » Experienced out-of-control construction? Take the RTE survey! We are seeking residents who have currently gone through, or have lived through disruptive renovations in their building. Nasty things happen to tenants when landlords mismanage renovations in their buildings. Demolition almost always precedes renovation, and it is during this stage that we see things like ceilings collapsing, debris scattered throughout hallways, excessive dust infiltrating tenants’ units, and poorly-maintained work sites – all of which can pose incredible threats to the health, welfare, and safety of tenants. More details on the RTE campaign here.